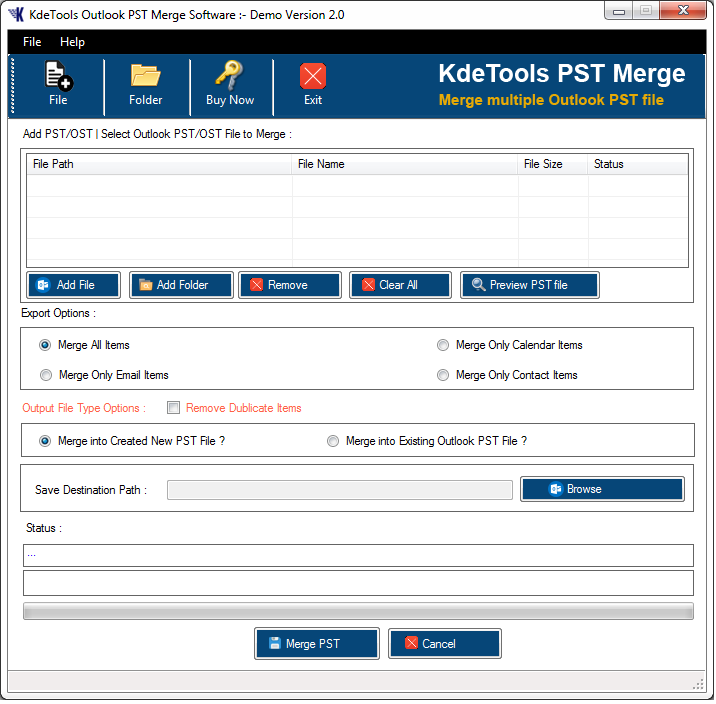 How KDETools PST Merge software work? 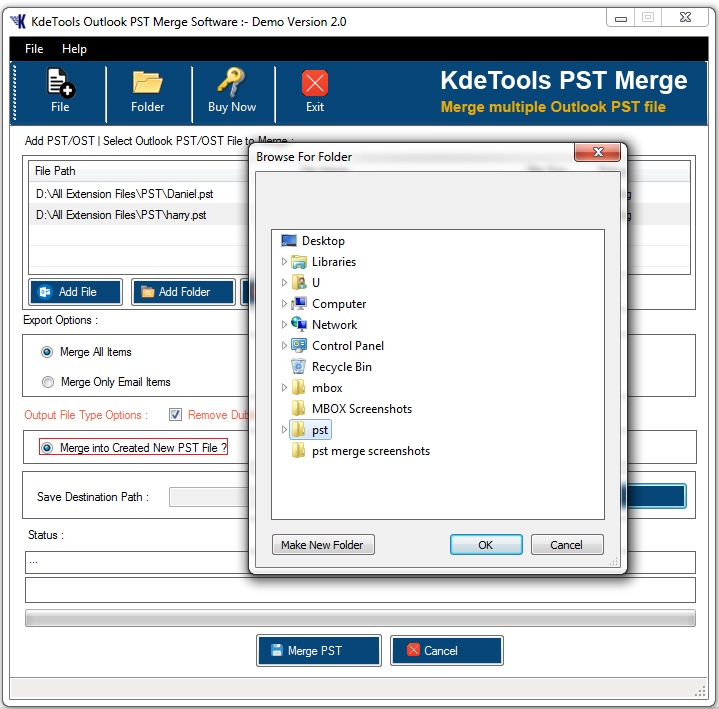 Step 1: This is the Welcome Window of Outlook PST Merge software. Step 2: Choose 'Add File' option to select the multiple files. 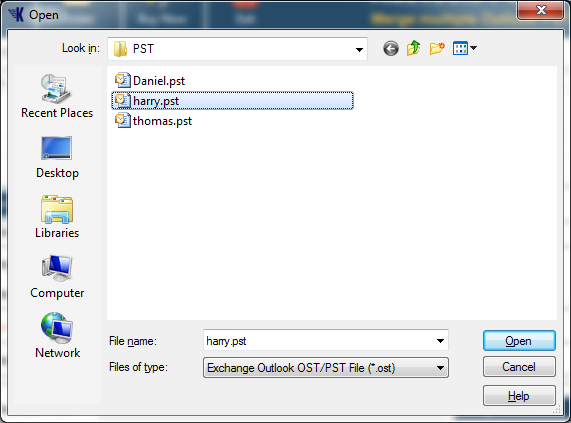 Step 3: Choose 'Add Folder' option to select a particular folder. 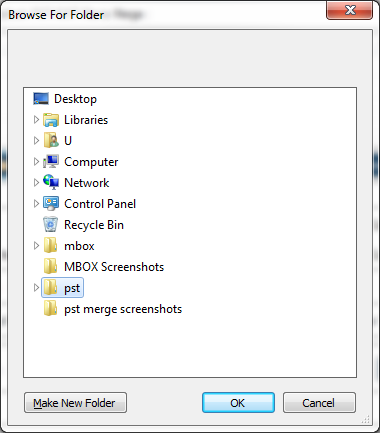 Step 4: After, selection of file or folder, you have an option to 'Remove' a particular file or 'Clear all'. 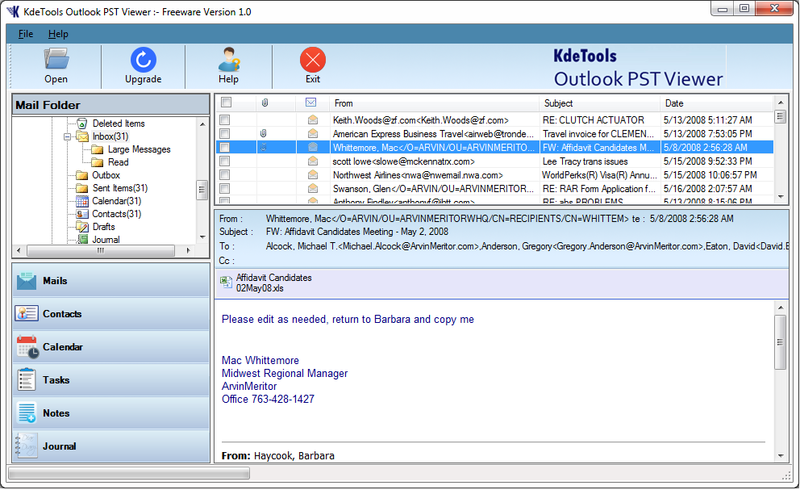 Step 5: After loading PST file, you can check the 'Preview' of PST File. Step 7: Click on check box to remove duplicate items. 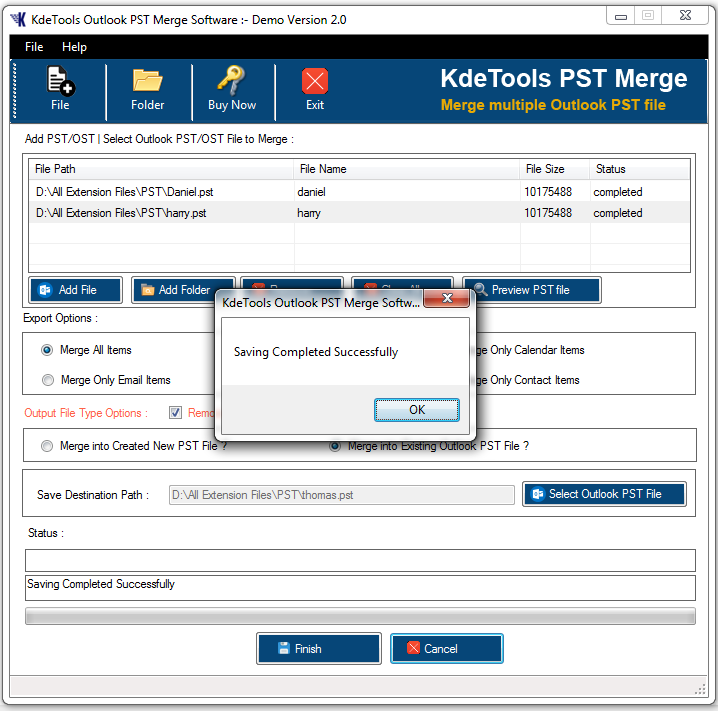 Step 8: Select to create new PST file then you can also save your file into existing folder or create new folder to save file. Step 9: Select 'Merge into existing Outlook PST file' you can save your file into existing PST file or also save into Outlook. Step 10: Now, click the 'Merge button' to start this process. Step 11: This screenshot shows that the merging process is going on. 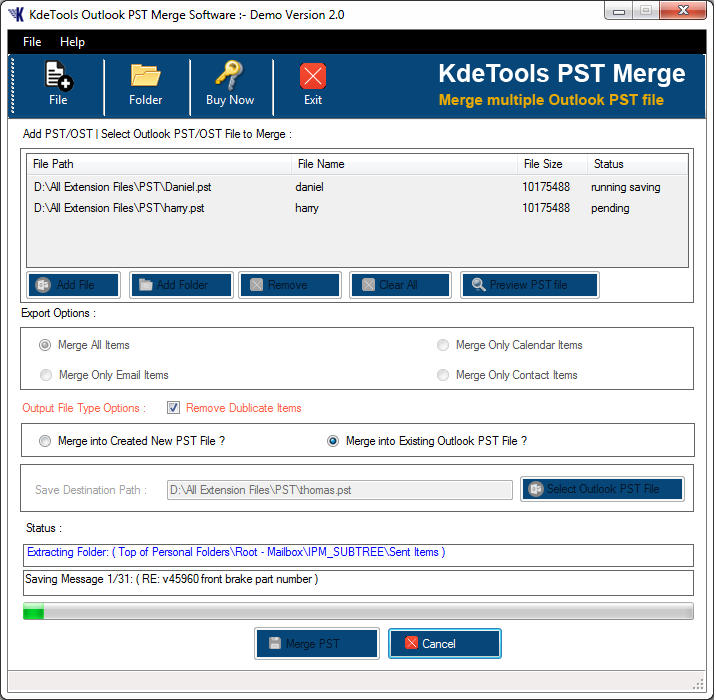 After, the merging process is done then shows a confirmation box. Step 12: Then click on 'Finish' button to complete this process.